Just for tents and campervans not needing electricity. 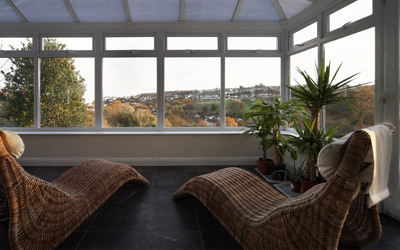 Spacious, flat and with wonderful panoramic views. The field has easy access to the surrounding woodland, hiking trails, beaches and coves with a great facilities building in easy reach. Tucked beneath the farmyard a limited number of pitches can enjoy incredible views over Carmarthen Bay. So book early for your caravan, campervan or motorhome., electric and non electric, but sorry no tents! 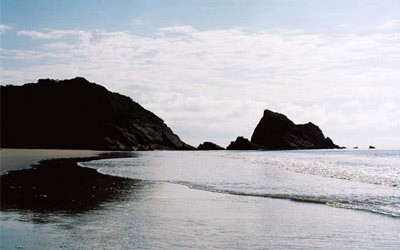 There’s easy access to the beach, hiking trails and any facilities you require. Please note that we do not take group bookings. No bookings for over 3 adults per party. Be respectful to your neighbours at all times. Drive very slowly when on the park. Any poor behaviour or language will not be tolerated. Dogs must be kept on a lead and cleaned up after them at all times. Noise must be kept to a minimum between 10.00pm-8am. Pitch numbers are non negotiable. Dogs are free all season. We require a £40 non refundable deposit at the time of booking. We take Saturday to Saturday bookings only in Monkstone Field during High Season. Caravans & Motorhomes are for 2 adults & 2 children inclusive, if any extras then please add on. Trailer Tents are classified as Tents. Strictly no tents in Monkstone field. Hard-standing pitches are available in Monkstone field. 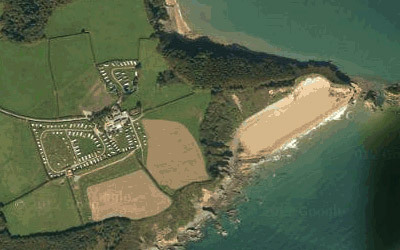 No Motorhomes in Tenby field, small campervans are allowed. 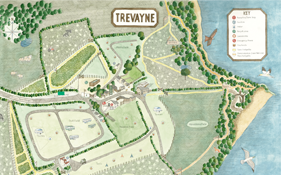 We do not allow generators to be used at Trevayne. Arrival time is strictly from 12 noon & departures are by 11am.